As you can see they are sponsored by Daikyo Environmental Recycling. 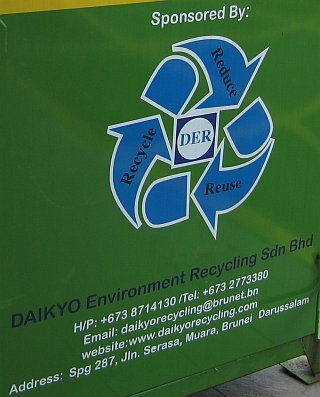 They have the following branches but I just wonder where else in Brunei these bins are located. i wonder how many places have those ‘guys’..
Maktab Duli has 3 of those.. don’t know if they’re from the same company or not though. UBD has 3 sets too.